You are here: » Home » Shopping Tour » Mansion 7, Horror-Themed Mall in Thailand! Mansion 7, Horror-Themed Mall in Thailand! Already famous for the horror movie, Thailand also has mystical themed mall. If you think you have the balls big enough, just try to come to the Mansion 7, most horror mall. Most shopping centers are comfortable, relaxed, and full of excitement. 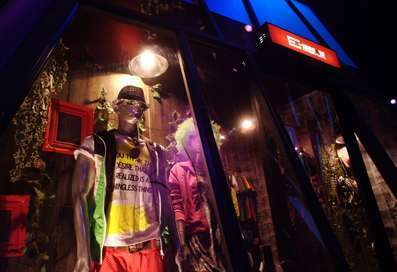 However, recently opened Mansion 7, which is a mall with a concept full of creepy atmosphere. Mansion 7 is present in the middle of downtown Bangkok, precisely on Ratchadaphisek Road, as beheld from the official website. If using MRT, you can get off at the Huaykwang station and simply by walking for five minutes. Once there, you'll find a building with unique architecture and creepy. Archway resembling a creepy hand will welcome you. 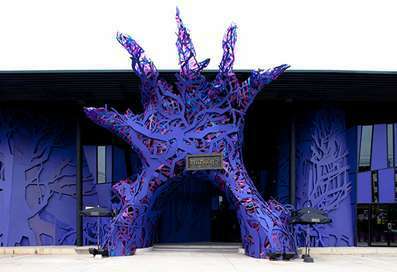 Although the exterior looks like an ancient building, in fact, Mansion 7 is a shopping center that recently opened. Deserted haunted house is deliberately used as a backdrop mall. Mansion 7 offers everything that is not owned by the mall in general. Mystique is not only on the outer building, but also any room in it. Uniquely, all the outlets that sell food and drinks at the mall also has the same concept. To add to the feel of horror, almost all outlets open at 5:00 pm until 2:00 am. Tense atmosphere does not seem to make visitors feel frightened shopping center. 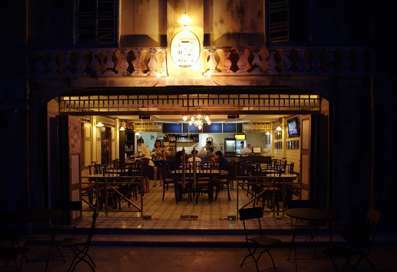 Mansion 7 is suitable for you who want to test the guts while washing the eyes, what more for fans of culinary tourism. Many unique food served at this mall. Of course, almost all horror-themed menu. 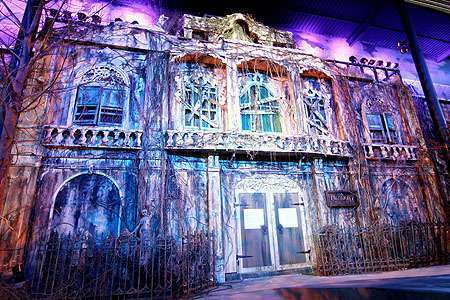 Being around, you should try to get into the Dark Mansion haunted house located in one corner of the mall. With paid admission ticket costing 180 Baht, or about $ 5, you can get around a haunted house for 15 minutes and found the mystical sensation. Article : Mansion 7, Horror-Themed Mall in Thailand! 0 Respones to "Mansion 7, Horror-Themed Mall in Thailand!"